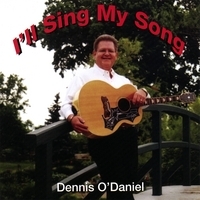 In a warm, touching manner, Dennis shares songs from his heart that he has written as well as other songs that have meant something special to him in a Southern gospel, contemporary sound that will touch your heart. Dennis is a 51 year old Minister, Songwriter, and Singer. Currently living in Ohio he was born in Louisiana and then moved to Texas in his teenage years. There he graduated from high school and then attended Bible College. He was ordained after graduation and spent time traveling and ministering not only in the United States but also overseas. Music has always meant a lot to him and he learned to play the guitar and some piano at the age of 13. He won several contests during high school, spent time playing with a Country Band in nightclubs around Texas. Then after dedicating his life to the Lord he traveled with a musical group in college, led worship in the Chapel services, and later in the different churches he attended. difficult times as well. We hope you will enjoy it and God Bless You. My husband and I enjoy listening to this CD on our way to Church. It really enlightens us. I believe it belongs on the gospel CD's they advertise on T.V. Thank you Dennis for this wonderful gift of music that you have provided. Dennis does a great job of allowing the Lord to flow through him to minister in song! The music and words just come flowing out in the anointing! Please take a listen, you'll be blessed! dennis is a great person,he really cares about people. i highly recommend this cd. it has blessed me every time i listen to it. I have really enjoyed listening to this CD! Each song is very uplifting and encouraging, and Dennis has a real gift for music. You will definitely be blessed by the wonderful music on this CD. This is a wonderful spirit filled CD. It is a combination of favorite gospel tunes and new heart felt lyrics that will touch your heart. I recommend it highly, it will bless you as it did me. Dennis's voice is only excelled by his passion for Jesus. I listened to 'Lord I Come Into Your Presence' in my car for 40 minutes. I can do it again. This CD has ministered to me so much, I love the song I"ve got confidence. Actually I love them all but I know that it will minister and touch alot of people. I recommend this CD also he has a wonderful voice and it is awesome. You will enjoy it. and shows it in his ministrey and his singing. Great CD! No songs to skip over. His original songs are the best on the CD. Please buy this CD if you want to feel blessed and inspired!